NEW YORK, Jan. 17, 2019 /AxisWire/ Acreage Holdings, Inc. (“Acreage”) (CSE: ACRG.U) (OTCQX: ACRGF), the United States’ largest vertically integrated, multi-state cannabis operator according to public filings, announced Greenleaf Apothecaries, LLC (“Greenleaf”) opened its first “The Botanist” medical cannabis dispensary in Canton, OH. 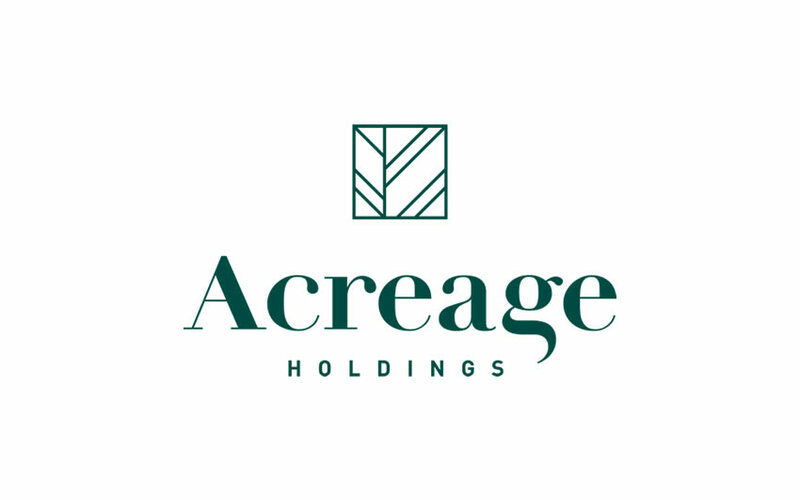 Acreage maintains a Management Services Agreement with Greenleaf that delivers Acreage’s operational expertise, product development capabilities, and “The Botanist” retail dispensary brand. Greenleaf plans to open additional “The Botanist” dispensaries in Akron, Cleveland, Columbus, and Wickliffe that will serve qualifying patients from Ohio’s nearly 12 million residents and an estimated total addressable cannabis market in 2022 of $290 million, according to Arcview Market Research. Greenleaf is one of three operators in Ohio that was awarded the maximum allotment of five dispensary operating licenses and was also recently awarded a Level 1 provisional cultivation license by the Ohio Department of Commerce. The new cultivation and processing facility will be located in Middlefield, OH. This news release contains “forward-looking information” within the meaning of applicable Canadian securities legislation. All statements, other than statements of historical fact, included herein are forward-looking information, including, for greater certainty, statements regarding expanding our industry-leading footprint, rolling out a national brand, pending legislation, opening of new cannabis markets and the commencement of Oklahoma operations in 2019. Generally, forward-looking information may be identified by the use of forward-looking terminology such as “plans”, “expects” or “does not expect”, “proposed”, “is expected”, “budgets”, “scheduled”, “estimates”, “forecasts”, “intends”, “anticipates” or “does not anticipate”, or “believes”, or variations of such words and phrases, or by the use of words or phrases which state that certain actions, events or results may, could, would, or might occur or be achieved. There can be no assurance that such forward-looking information will prove to be accurate, and actual results and future events could differ materially from those anticipated in such forward-looking information. This forward-looking information reflects Acreage’s current beliefs and is based on information currently available to Acreage and on assumptions Acreage believes are reasonable. These assumptions include, but are not limited to: market acceptance and approvals. Forward-looking information is subject to known and unknown risks, uncertainties and other factors that may cause the actual results, level of activity, performance or achievements of Acreage to be materially different from those expressed or implied by such forward-looking information. Such risks and other factors may include, but are not limited to: general business, economic, competitive, political and social uncertainties; general capital market conditions and market prices for securities; delay or failure to receive board or regulatory approvals; the actual results of future operations; competition; changes in legislation affecting Acreage; the timing and availability of external financing on acceptable terms; and lack of qualified, skilled labor or loss of key individuals. A description of additional assumptions used to develop such forward-looking information and a description of additional risk factors that may cause actual results to differ materially from forward-looking information can be found in Acreage’s disclosure documents, such as Acreage’s listing statement filed on November 14, 2018, on the SEDAR website at www.sedar.com. Although Acreage has attempted to identify important factors that could cause actual results to differ materially from those contained in forward-looking information, there may be other factors that cause results not to be as anticipated, estimated or intended. Readers are cautioned that the foregoing list of factors is not exhaustive. Readers are further cautioned not to place undue reliance on forward-looking information as there can be no assurance that the plans, intentions or expectations upon which they are placed will occur. Forward-looking information contained in this news release is expressly qualified by this cautionary statement. The forward-looking information contained in this news release represents the expectations of Acreage as of the date of this news release and, accordingly, is subject to change after such date. However, Acreage expressly disclaims any intention or obligation to update or revise any forward-looking information, whether as a result of new information, future events or otherwise, except as expressly required by applicable securities law.